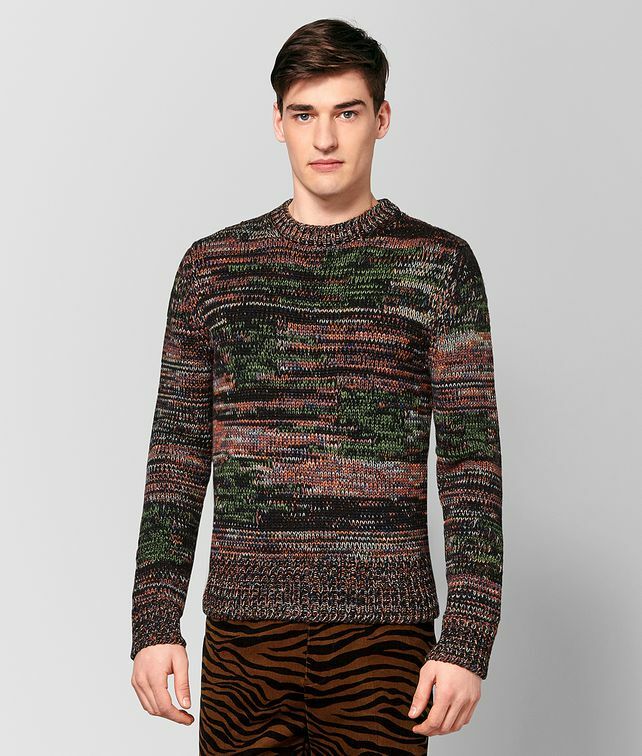 This marled knit made from multicoloured yarn brings a distinctive touch to an autumn wardrobe staple. The crewneck style was shown on the Fall/Winter 18 runway in an ensemble that paid homage to the bold sensibility of the New York man, but it also pairs well with simpler pieces such as dark trousers or denim. Finished with a ribbed neckline, hem and cuffs.